*This post was sponsored, and paid for, by Scrigit Scraper. All opinions are my own. I don’t know what it is, but once January is over I am more than ready for spring. Not only that, I am more than ready to get all things decluttered and cleaned. 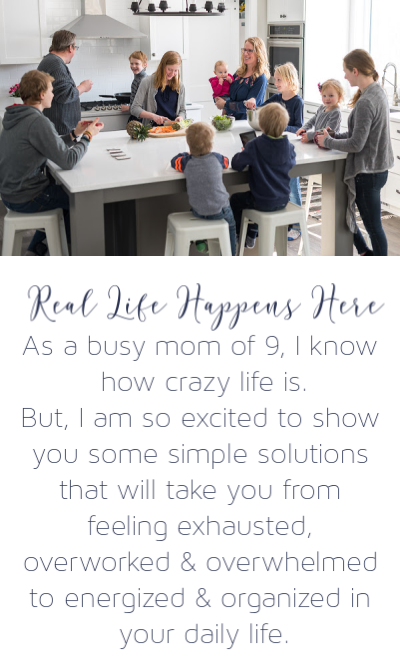 I know I’m not the only one with spring cleaning on the brain as nearly everyone I know is looking for spring cleaning ideas. For me, it’s because the last thing I want is to be stuck inside cleaning once the weather turns nicer. In my home, there are five main zones I like to concentrate on. 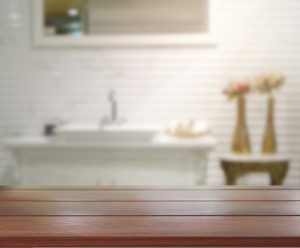 While this list is far from everything that needs to be cleaned, these are generally quick and targeted cleaning tasks that deliver a big bang for my cleaning buck. These 30 spring cleaning tasks are things that you should get done in less than 30 minutes in many cases. The five zones these tips are focused on are the kitchen, bathrooms, living/family rooms, laundry room, bedrooms, and general cleaning tasks. Want to make these spring cleaning tasks a breeze? 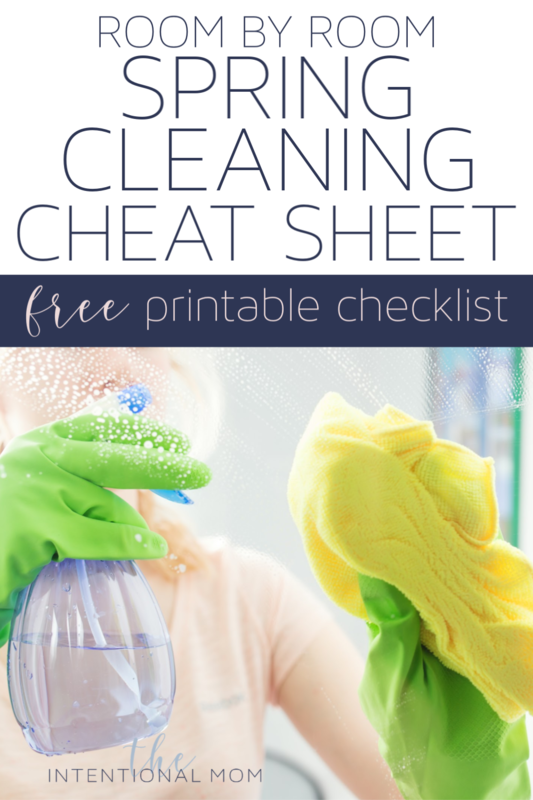 Grab our free spring cleaning checklist with each task & description listed in a pretty printable list. Just tell us where to send it! If you can commit to tackling one of these cleaning tasks a day for the next 30 days, your home will feel amazing! Choose a cleaning task that works best for the time you have to devote to your spring cleaning each day. When you have more time, be sure to choose a task that requires more time. That way you’re not left with all the bigger cleaning tasks at the end. 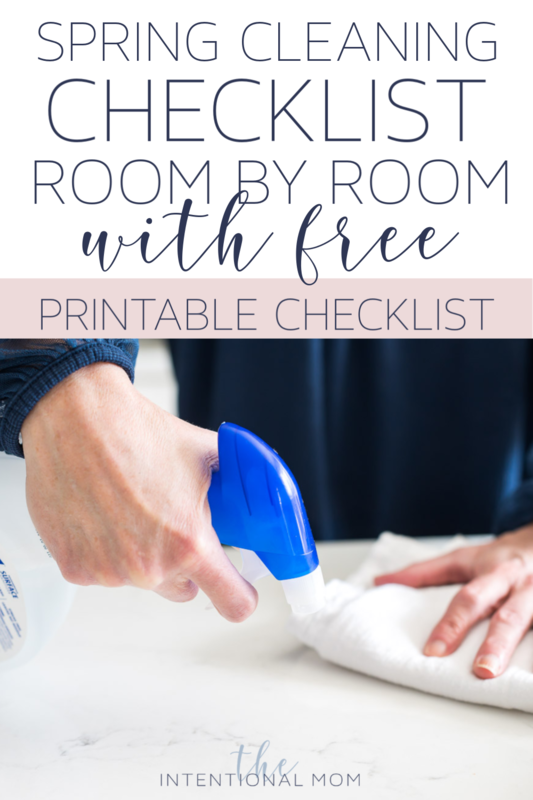 Here are room by room spring cleaning tasks that will make your home feel fresh, new, and inviting. Microwave – clean your microwave inside and out. It really works easier if you boil a mug full of water beforehand to loosen up the baked-on food. You can take this one step further by putting some baking soda and a splash of lemon juice in the mug. You could also use lemon essential oil. I find this really loosens things up nicely and requires less scrubbing and cleaning on my part. Stovetop – whether you have a gas or electric stove, a nice clean stove top can make such a difference in the overall feel of your entire kitchen. To make this task easier, natural cleaners like vinegar and baking soda or perhaps some mild dish soap can usually get the job done. Having a gentle scrubbing pad often helps, too. If you have a glass cooktop, you can read more about how to clean your glass cooktop stove HERE. Oven – if there is one thing I love, it is a clean oven. I actually a bit obsessed with the inside of my oven being clean. Anytime something drips, I make quick work of getting it cleaned up as soon as possible before it gets baked on. Then there is the oven glass. If you struggle with the glass always looking dirty or hazy, it’s most likely because it is dirty in between the glass of the glass door. Again, a gentle cleaning pad, some paper towel, and vinegar and baking soda as most effective in getting this spring cleaning task done. In between the glass of your oven door really isn’t all that difficult to clean, however. You can read more about how to clean in between the glass of your oven HERE. Refrigerator – The easiest way to keep your refrigerator clean is to clean it often. This is especially true in my family with 11 people going in and out of the refrigerator all day – often multiple times. 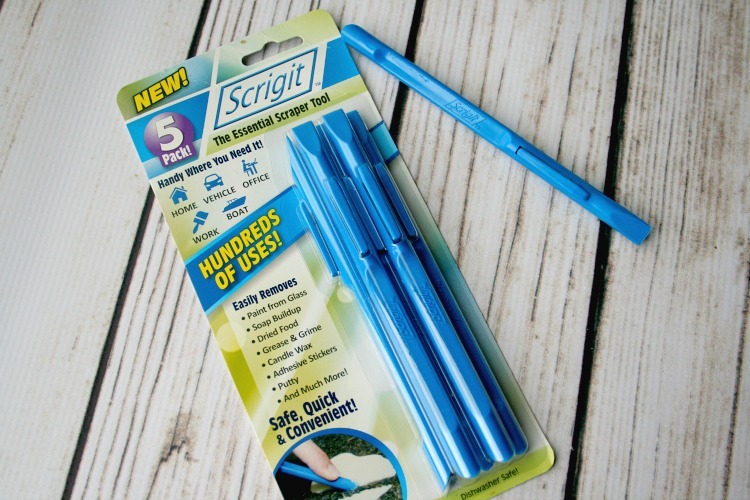 For this task, I love my favorite cleaning tool of all time, the Scrigit Scraper, for helping get stuck on food or gunk in the corners taken care of. This tool is handy for so many of the cleaning tasks you’ll find around your house. I’ve used it to remove gum from the inside of my dryer, to take the sticky label residue off all kinds things, to get dirt, grime, and mold out of my shower, and more. When it comes to cleaning my refrigerator, this handy tool just makes the job quicker and easier. Upper kitchen cabinets – doing a quick wipe out of all the upper kitchen cabinets can be done in under 30 minutes if you work quickly. And, it just might be my favorite thing. If there are lots of crumbs, vacuuming them out first makes the wiping part much easier. Lower kitchen cabinets – this is also something that can be done quickly with just a rag and a mild cleaner. You can find the all purpose cleaner I make with essential oils HERE. Be sure to vacuum them out first if needed. Kitchen drawers – In my home, my kitchen drawers seem to attract crumbs like crazy. I always use the crevice tool of my vacuum before wiping them out. For any dried on mess, be sure to grab your Scrigit Scraper. Kitchen cabinets outside – things are forever getting dripped down the front of my kitchen cabinets and drawers. Spring cleaning time is the perfect time to get the fronts and side all cleaned up. 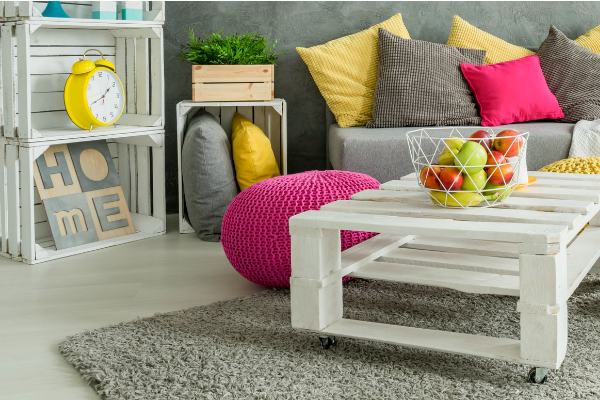 Generally, furniture is the bulk of what needs cleaning in a living room. And no matter the mess, spring is the perfect time to clean them. It will make you so happy! Living room furniture inside and out – crumbs, money, and nearly anything else can be found inside the living room furniture. Pull all the cushions off and vacuum the shell of the furniture. Then, vacuum all the cushions. For any wipeable surfaces, make sure to wipe them down, too. Stuff just collects underneath the living room furniture. If you move them out of the way and vacuum underneath, you should be able to get this all taken care of in under a half hour. Throw blankets – most living rooms have plenty of blankets. Doing some spring cleaning is the perfect time to get these all cleaned up. This is a super quick task so plan accordingly. A sparkling clean bathroom is one of my favorite things. These things should easily be able to be done in 30 minutes or less. Bathroom cabinets/drawers – organizing and cleaning out the bathroom cabinets and drawers is so worth it. If you need to vacuum these things out first, taking the time to do this first will make the wiping out part go so much faster. All you should need is a mild cleaner and a rag or washcloth. Shower – the shower can become nasty so fast. With all the steam, mold quickly grows. This is especially true if you have sliding shower doors. 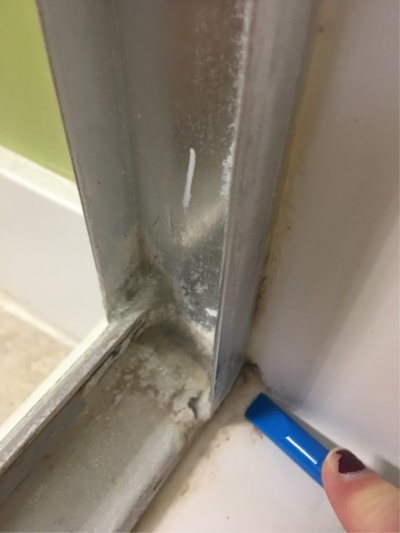 To clean your shower you’ll need some basic supplies like your cleaner of choice, baking soda, vinegar, and of course your Scrigit Scraper to get in the corners of your shower door tracks. Read more about how to clean your shower HERE. Countertops and mirrors – this is one of those tasks that goes super quick. Save this one for a day when you’ve got less time. A basic all purpose cleaner and a rag will get get the job done. The laundry room can be one of the places that people don’t think about when it comes to spring cleaning. This is actually dangerous since dryer fires are a very real thing and usually preventable with some regular cleaning. Washer – clean the inside of your washer by removing any debris in the drum. Then, use a simple rag to give the entire inside a good wipe down. Many washers even have a cleaning cycle. Consult your user’s manual for directions on how to use this cycle. Dryer – clean the inside of your dryer by starting by cleaning the lint trap. Then, move on to the inside of the dryer drum. Remove any stuck on material. I frequently find things like gum or stickers stuck to the sides of my dryer. To remove these, carefully use your Scrigit Scraper. 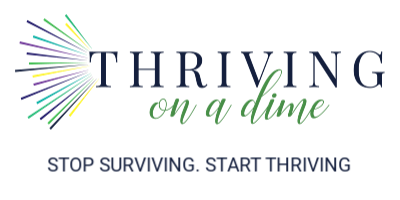 Dryer vent – spring cleaning time is the perfect time to clean the inside of your dryer. Doing so will greatly decrease the chances of your dryer catching fire. For the easiest and least expensive way to do this, read this post HERE about how to clean your lint trap. Outside of washer and dryer – nice, shiny appliances just have a way of making the heart happy. Give your washer and dryer a good wipedown. While there are many things to clean in the bedrooms, we will just focus on a few here in this spring cleaning post. Bedding – start your work in the bedrooms by stripping all the bedding and washing it. I wash the sheets frequently, but I don’t always wash all the blankets, comforters, and duvet covers. Give everything a good wash for this spring cleaning task. Mattresses – with the beds stripped you’ll easily be able to give your mattresses some TLC. I would suggest taking care of this task while you’re washing the bedding anyway. All you’ll need is a vacuum with some basic attachments to get this done. Under furniture – under the bed is the perfect place for not only stuff to collect, but also large amounts of dust and other debris. Move all the bedroom furniture, recruiting help if needed and vacuum underneath it all. Baseboards – if your baseboards are dusty, now is the time to get them cleaning up. If they are really dusty, use the crevice tool of a vacuum to vacuum them first. Then, give them a good wipedown with a wet rag. 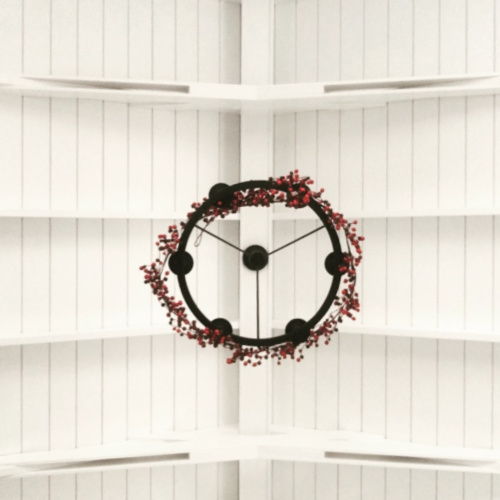 Ceiling line – cobwebs are notorious for gathering at the ceiling line where the ceiling meets the walls, You can’t always see them, but I can assure you, they are there. Sometimes it only takes a few days for them to collect again. I find the best way to get this task done is to use a dusting wand with an extending pole. You can also do this my using a rubber band to attach a towel to a broom handle. Just use your chosen tool to give a quick run over all of the ceiling lines in your home. Window wells – this is the area in between the inner and outer window. Dirt collects here like crazy, especially after a good rain. I find this can best be done using the Scrigit Scraper and a rag to get the dirt out of the corners and then just a mild detergent or all purpose cleaner to wipe everything down. If you have window tracks, clean them using this method HERE that leads to step by step through this process. Windows inside – nothing says clean like clean windows. With 9 kids, I can say windows are always always a problem area. Use a simple cleaning rag and your favorite window cleaner to get this task done. Windows outside – windows get so dirty on the outside, don’t they? I like to use some mild detergent, a rag, and my hose or a bucket of water to begin with. Then, I use a window rag and cleaner to really give them that sparkling clean look. Ceiling fans & light fixtures – just because we can’t see the dust and dirt that is above us, it is there. For this spring cleaning task, dust all light fixtures and ceiling fans. I find a feather duster to be a great tool for this job. Lampshades – did you know that these get dusty, too? I find this task is easily done with a vacuum and crevice tool attachment for fabric lampshades. If you have lampshades that have a wipeable surface, just give them a wipedown for this task. Heating and cooling vents – dust can really collect here, and it can even affect the airflow in your home. Now is the perfect time to get these all cleaned up. First, use the crevice tool of a vacuum to vacuum these off. Then use a wet rag, all purpose cleaner, and your Scrigit Scraper to really get in there and clean each part of the vent. Rugs – if you have rugs in your home, spring cleaning time is a great time to get them cleaned up. Start with washing the throw rugs that are washable by following the directions on the tag. Rugs that can’t do into the washer could be vacuumed and spot cleaned if allowed according to the instructions included. Consult these instructions for the best way to clean the rugs in your home. But, the finished product will make your home feel fresh and clean. 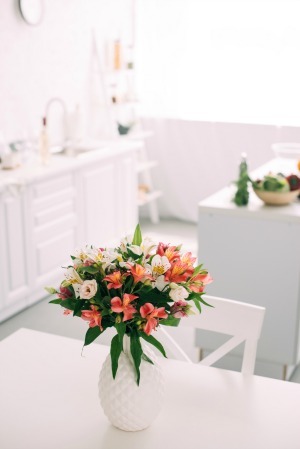 With spring right around the corner, now is the perfect time to get your house neat, clean, and fresh again. This list of 30 cleaning tasks is just what you need to get your home in tip-top shape.